Imagine. Women being paid the same as men. Being seen as capable for their real merit, not the perceived kind via the prism of bias. And imagine boys not having to grow up in a world of toxic masculinity, where 'man up' means abandoning your authenticity. According to the World Economic Forum, equality will not be until the next 202 years. That’s the year 2221, a time by which we and our children will all be long gone. What if there was a better way? A way to accelerate the path towards equality for us all, starting with the leaders of tomorrow - the young minds of our nation. At The Remarkable Woman, we believe there is. A way for us all achieve a gender equal society within our very lifetimes. That’s why we’ve made a commitment to Equality 2050. 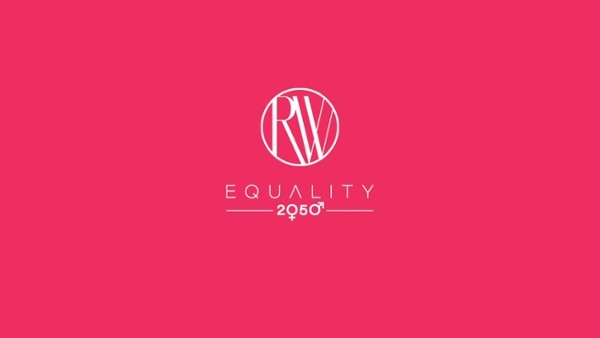 Equality 2050 is our pledge to driving a 50/50 gender balance on social, political and economic participation for women by 2050 – by starting with a grassroots education campaign in 50 schools. We’ll be teaching our kids how to unpack gender norms, stereotypes, gendered assumptive language, leadership, negotiation, financial literacy, business and bias – through play, active education and ongoing learning. The norms of our gendered, patriarchal society have a flow on effect to all areas of our lives; from the inequality of women leaders to inequality of pay. Women are being perceived as worth less; not just at the leadership table but as human beings – which can be linked to other issues impacting our society, like domestic violence. Most of these stereotypes are formed from a young age. That’s why it’s so important to nurture the minds of our future leaders on what equality looks and sounds like - in the best way possible: through play, active education and ongoing learning. Our goal is to reduce the timeframe to equality by up to 50%. Our goal is to reduce the timeframe to equality by up to 50%. Help us to empower the future leaders of tomorrow and achieve equality in our lifetime by nominating your school to be one of the 50 schools for 50/50 gender equity by 2050. Here’s how we are going to do it… together! Team TRW will train 50 schools on what it looks like to have equal representation in important areas like leadership, money, social standing, physical and verbal space through play. All the while TRW will create benchmarks, collate data and measure perception improvements in bias, gendered regressive norms and uplift in social equality for continuous improvement and learning. TRW is building a think tank filled with experts from various areas to help us build a permanent, mass-educational curriculum on gendered education. Collectively, we’ll present to the board of education and help the nation create lasting change for gender equality. While team TRW hits the road to visit schools and builds on their training programs and curriculums via its dedicated think thank, we’ll be lobbying for a permanent change to our primary school curriculum. 50 schools today, could turn into a curriculum based nationwide learning program, tomorrow. Now, this is where you come in! Help us achieve equality by 2050. Offer your support or become part of the movement by nominating your school. Hear from those rallying together with The Remarkable Woman to continue our path towards equality.